Having a growing family? 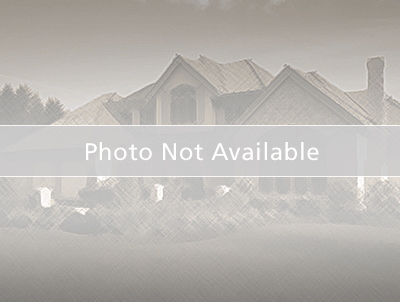 Beautiful 4 bedroom 2.5 bathroom in the gated golf community of Remington in Kissimmee. This lovely home features a large front porch with pavers that extend to the side of the driveway for extra parking. Inside find an inviting formal dining and living room with maple engineered floors, which extend to the family room. A built-in entertainment center, pre wired for surround sound, separates the formal space dining room from the family room. The kitchen is large and open for entertainment. This kitchen has upgraded solid wood cabinets with a beautiful and rare laminate. Whirlpool and Kenmore Stainless steel appliances: a 28 cubic feet French door refrigerator, and a glass top stove with a convection oven. Large kitchen island, eat in kitchen space. A half guest half with an extra large linen closet, a walk- in pantry, and inside laundry completes the downstairs. As soon as you walk upstairs, you will find a large loft and all the four bedrooms. The master bedroom is large and features a great size walk in closet. The master bath has dual sinks, a garden tub and separate shower stall. The backyard is big enough to build a pool. The fence is almost completed. Recently painted inside. A/C replaced 2015, Gutters 2012, Sprinkler System timer 2015. *This property may qualify for a $2500 Chase Homebuyer Grant that can be used to reduce costs on your Chase mortgage* Great home for entertainment. From Highway 192 and Simpson Rd in Kissimmee, head north on Simpson, make a right onto Fortune Road for about 2 miles, then make a right onto the Remington Community.